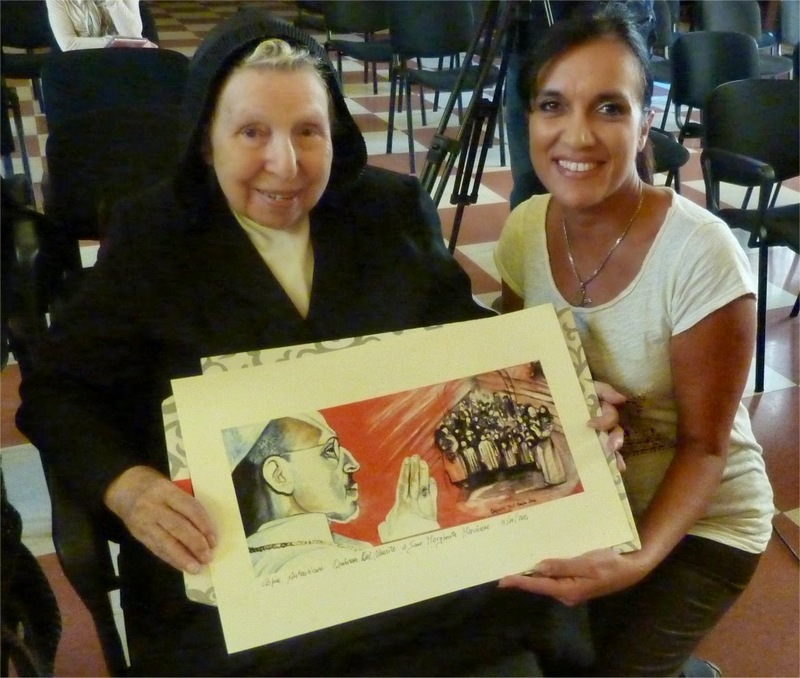 Suor Margherita Marchione Mpf alla veneranda età di 93 anni è venuta dagli Stati Uniti a Roma per inaugurare il MuseoVetrina di Papa Pio XII, presso la Libreria Internazionale Benedetto XVI di Piazza Pio XII 4, punto vendita della Libreria Editrice Vaticana. A un passo da Piazza San Pietro, sarà possibile visitare questo nuovo allestimento che presenta una serie di oggetti devozionali, e non solo, in memoria del Pontefice. 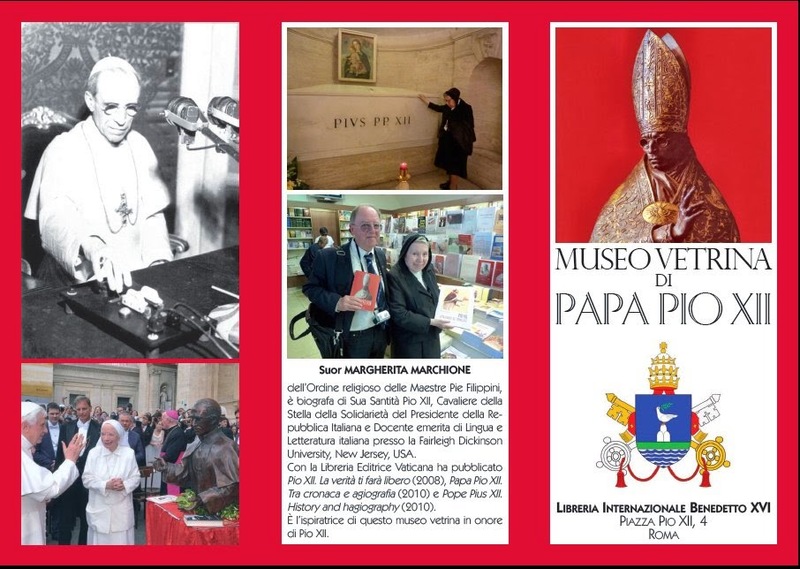 Il Museo è stato ispirato da suor Margherita Marchione, biografa di Papa Pacelli, e dal professor Livio Spinelli che ne ha curato a realizzazione. 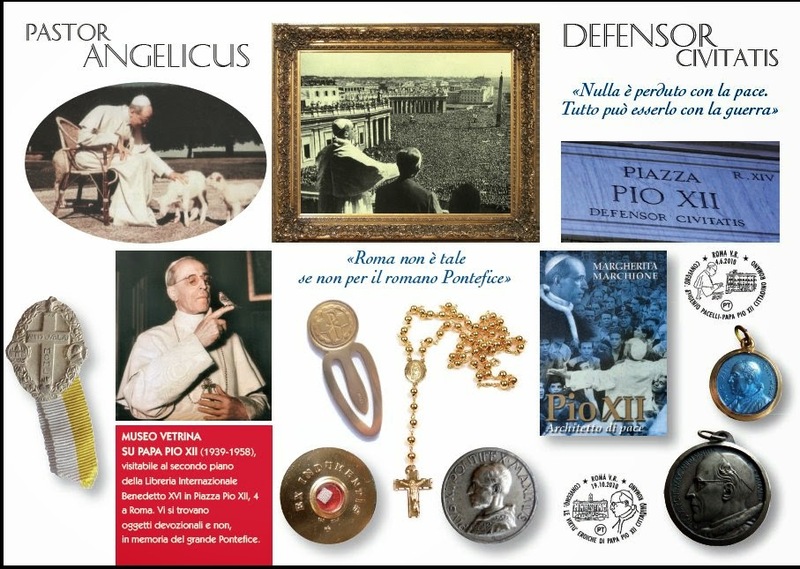 Subito dopo è stata deposta una corona di fiori alla lapide del Circolo San Pietro, dedicata a Pio XII Defensor Civitatis, restaurata di recente e visibile nella piazza a lui intitolata, antistante la Libreria. 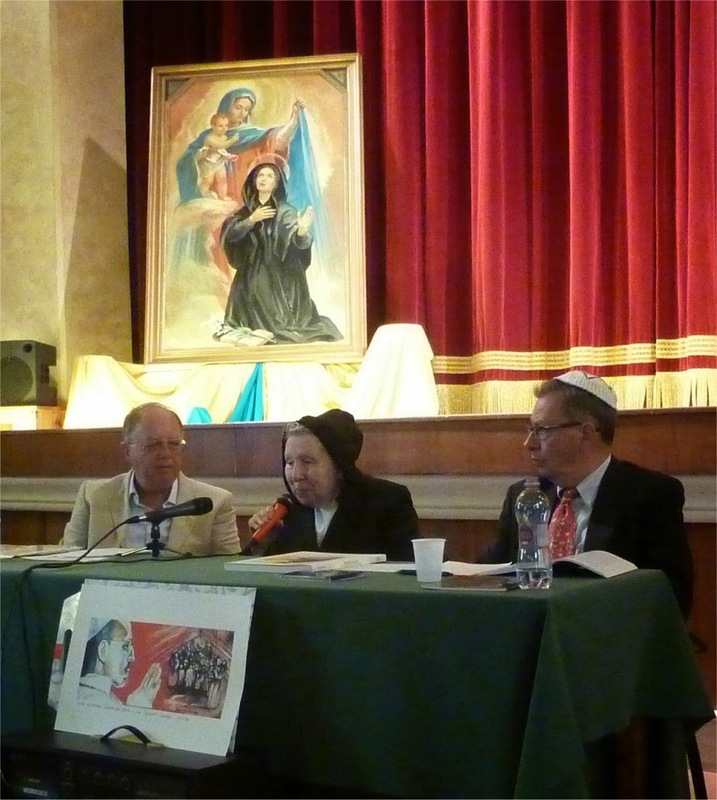 Ad accogliere Suor Margherita Marchione c'era il Direttore della LEV don Giuseppe Costa e il prof. Livio Spinelli presenti S.E. 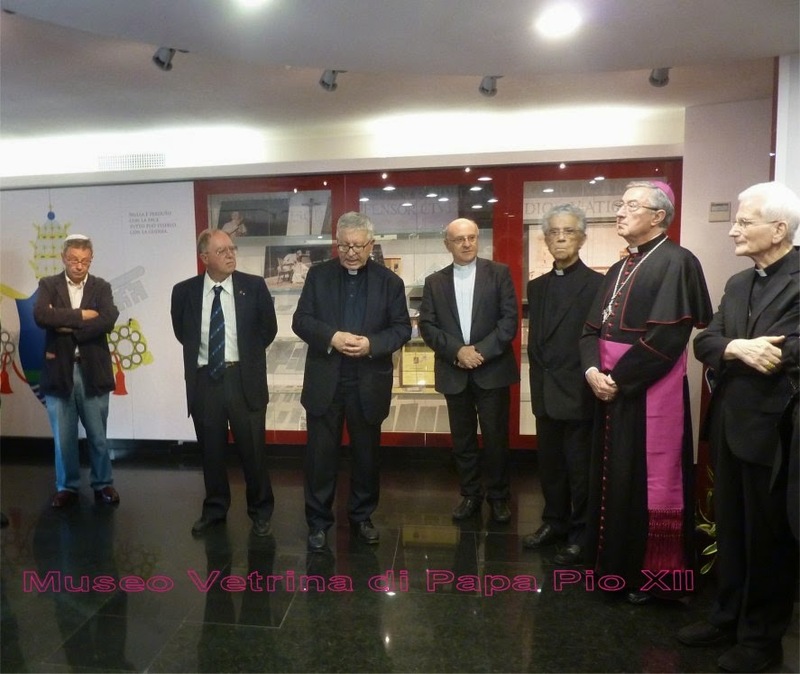 Reverendissima Cardinal Raffaele Farina Archivista e Bibliotecario Emerito di Santa Romana Chiesa, Sua Eccellenza Reverendissima Monsignor Jean-Louis Bruguès, OP Archivista e Bibliotecario di Santa Romana Chiesa, la Superiora Generale delle Maestre Pie Filippini Madre Nicolina Bandiera, S.E. Mons. Edmond Y. Farhat Arcivescovo di Biblos (Libano), l'Avv. 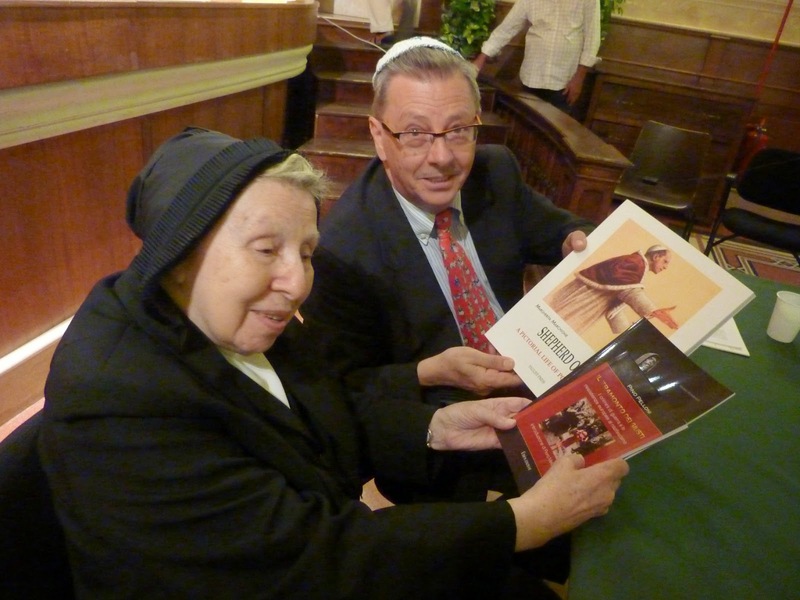 Emilio Artiglieri Presidente del Comitato Pacelli, il Prof. Pino Pelloni Direttore della Biblioteca della Shoah, la Principessa Elettra Marconi. 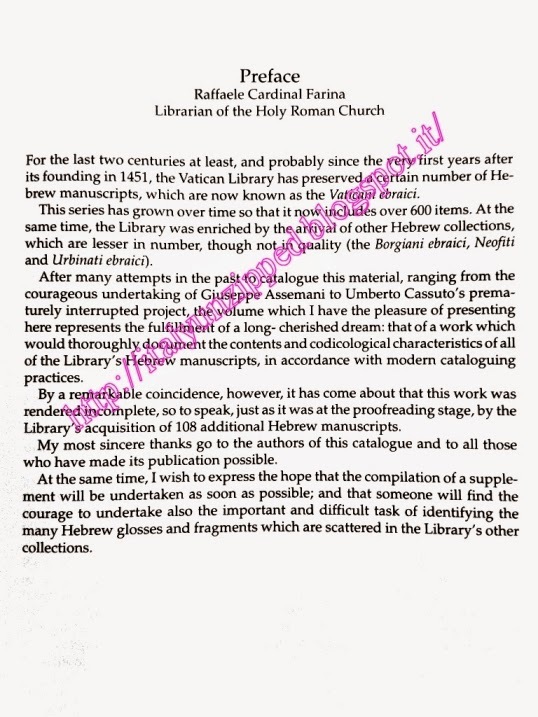 Il 4 ottobre Suor Margherita ha partecipato alla Messa solenne in memoria di Papa Pacelli celebrata nelle grotte vaticane da S.E. Reverendissima Card. Raimond Leo Burke. 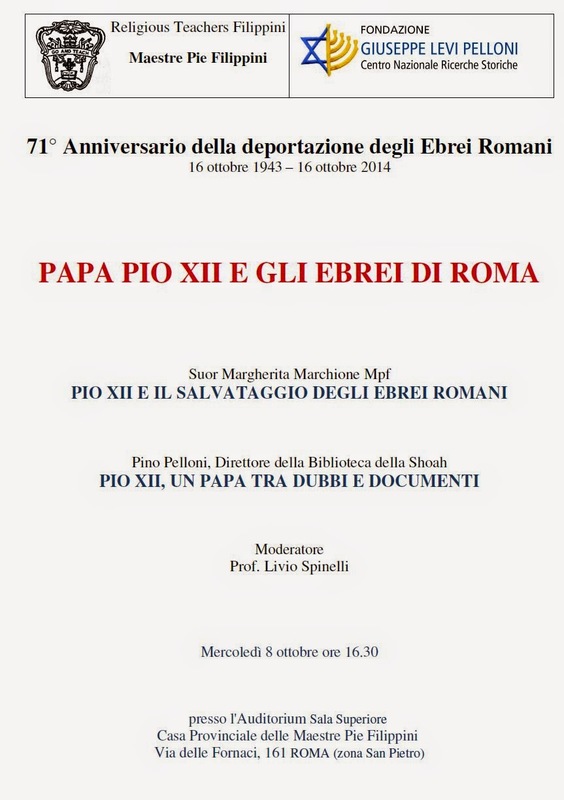 L'8 ottobre infine, per il 71° Anniversario della deportazione degli Ebrei Romani, c'è stato un Convegno presso l'auditorium delle Maestre Pie Filippine in via delle Fornaci sul tema “PAPA PIO XII E GLI EBREI DI ROMA” organizzato dalle Maestre Pie Filippini in collaborazione con la Fondazione Giuseppe Levi Pelloni: relatori Suor Margherita Marchione Mpf e il prof. Pino Pelloni, moderatore il prof. Livio Spinelli, presenti la dott.ssa Giovanna Napolitano Presidente della Fondazione Levi Pelloni, la dott.ssa Marina Coccia testimone di un Amore che Vive, la pittrice Ombretta del Monte promotrice di una mostra itinerante sui Papi degli ultimi 100 anni patrocinata dall'Arcidiocesi di Milano, la regista Donatella Baglivo. hometown, Santa Marinella, a place closely connected to Ingrid and Isabella. During their marriage Ingrid and Roberto Rossellini bought a home there, and spent many happy summers there with their children. Livio is creating a history of this beautiful place and has written a webpage with interviews of Santa Marinella residents who recall their memories of Ingrid,Roberto, and their children. 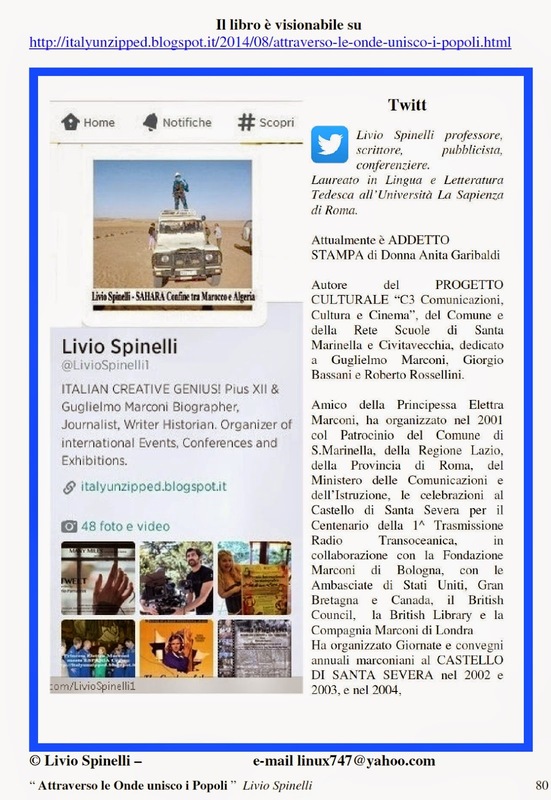 The site is in Italian, but a very kind Ingrid and Isabella fan (and Italian student), Nancy Hazelwood, has graciously translated Livio's page. A huge thank you to both of them! 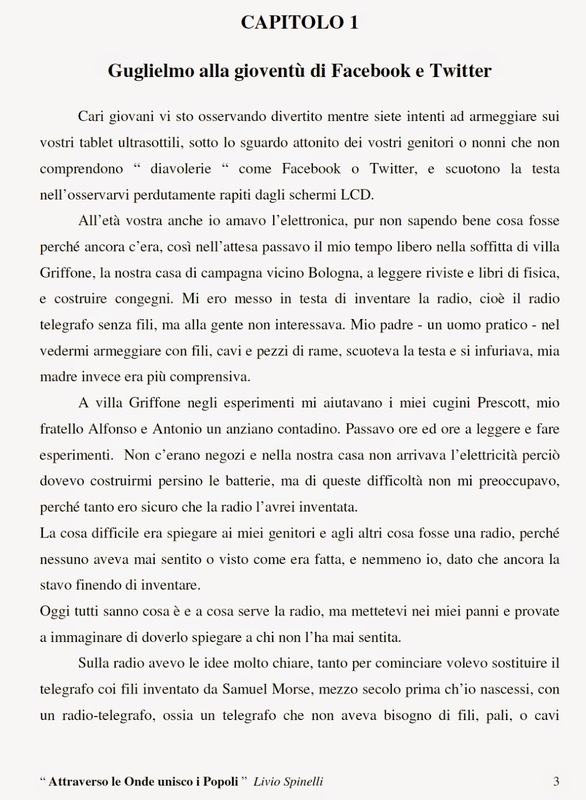 With Livio's and Nancy's permission here is the text in English along with a couple of his photos. Please be sure and visit Livio's site which has music and many photos to go along with the enjoyable recollections. Click here to visit. INTERVIEW WITH PALMIRA RAMI (AGED 83) OWNER OF THE BERGMAN VILLA AT SANTA MARINELLA, AND, WITH HER SON GUALTIERO SIGNORACCI, THE FIRST LOVE OF ISABELLAROSSELLINI. Ingrid, who left the clinic 18 days after giving birth to the twins, fed them for the first month herself and then entrusted them to a governess in august when she left for the US to join her daughter Pia. Robertino who was now two and a half years old was waiting anxiously for a little sister. The fact he got two sent him to seventh heaven! The two babies were baptised in a strictly private ceremony in the chapel of the Roman clinic where they were born. Ingrid Bergman and Roberto Rossellini how I remember them: Gualtiero Signoracci (48) re - lives his childhood at the Bergman Villa.
" I still remember everything" Signoracci tells us. He tells us his memories of his childhood from the moment in which the Roberto Rossellini villa was constructed.
" My family lived right opposite this villa in an old house from 1925 belonging to the Vitali estate. Rossellini gave to my father the job of cleaning up the large grounds and made a small house next to the villa which we moved into. Roberto Rossellini and all the others considered us straightaway as members of his own family. There was no distinction between me and my sister, we were always treated in the same way as his own children. I remember those days as if they are were a dream" Gualtiero says. Roberto Rossellini was a marvellous person, always cheerful and full of attention for everyone. Ingrid Bergman had a more reserved character but even she was very fond of me and all my family. Even long after the separation she came specially to see us at Santa Marinella. One day, eight years had passed since the sale of the villa and Ingrid arrived with her daughter Isotta and the governess Argenide. Gualtiero says: " Out of many presents Ingrid gave us, my wife and I still remember the huge furry rabbit that she brought for our daughter Sonia. To escape from the press and photographers, Ingrid left Santa Marinella with Concetta my wife and my daughter Sonia to go to her house in Rome where we also saw the other twin again, Isabella. Isotta, because of her extraordinary similarity to her mother was called Ingrid. Isabella however wasn't only my playmate with whom I'd grown up, at the villa, everyone knew we were an item and for her it was a serious thing. It was because of the Rome - Paris train that our relationship ended. When Ingrid Bergman left from Paris for Rome with her daughters, Isabella and I agreed that when the train passed Santa Marinella she'd find me there waving to her. This people heard about and so her mother took the cine-camera on the train and I, instead of being alone would find myself surrounded by everyone from the villa to wave with handkerchiefs, towels and much more! This they loved because on return from Paris there was also Roberto who wanted to do the same thing. He sent us a telegram from Paris telling us the hour and day in which the trains would pass. However, the telegram arrived a day late and on their journey they didn't find anyone waving to them. Obviously I wasn't there either. The disappointment for Isabella was too much and the following explanations were hopeless. Arriving in Rome Isabella took the decision, " I'll not marry Gualtiero anymore because he didn't come to wave at me on the train." The friendship with Isotta and Ingrid continued even after the sale of the villa. Isotta, when she still lived in Rome came to Santa Marinella to visit us, Isabella however moved to the US. In the Rossellini villa, we children were the ones in charge. Roberto was capable of making incredible things for us, he organised games and entertainment of all kinds. I had a whale of a time in the long summers when besides Isotta and Isabella, Christian and Manuel De Sica came too, the children of Vittorio De Sica and then there was Renzino Rossellini, the son of the first wife and the other son Robertino. There was also the son of the director Palmer whose name I don't remember. Renzino my playmate was really unpredictable and extravagant and created big schemes if something happened which we younger children had to participate in. After we had issued the sentence, he carried it out. One day Palmer, the son of the director had aimed a knife at my sister and Renzino didn't allow for pardon. He declared a proceeding against Palmer and made us children be the jury to press a sentence against him who was the big intruder! Without batting an eyelid, Renzino took Palmer and put the noose around his neck, and only the quick intervention of my father prevented the sentence from being carried out! I remember a huge American gardener who went especially to Cittavecchia to buy crates of tomatoes which we children used for real battles, which Roberto helped us to enjoy even more. He organised treasure hunts and a million other games. He brought us things from Rome and the strangest animals. I remember a huge duck, 12 or 13 kilos which he'd used in a film. We called it the Papero Blu (blue duck) because at Cinecittà they coloured the feathers blue. I remember also the pony which he left for us to ride. It's impossible to forget the fairytale gala evenings which Rossellini organised for the presentation of each of his new films. All the most famous actors were there, from Totò to Alberto Sordi, from De Sica to Rascel and Giovanna Ralli, Sandra Milop and even Gregory Peck. The writers Alberto Moravia and Vitalino Brancati came to the villa too and various politicians also. But I only remember Andreotti and Sebastiano Servili who was then still a meat supplier for the villa. During these times we lived almost barricaded in because the villa was surrounded by Paparazzi who also arrived by way of the sea! It was so much that Roberto had to construct barriers with wire netting but they didn't help much. There was always some paparazzi wanting a scoop and my father was targeted from those who tried to offer him dazzling sums of money to get them a photo, but he never let anyone pass. Ingrid at times tried to please the photographers, going onto the balcony of the villa to let them take pictures in the hope they'd then go away, but they continued to insist and stay there so therefore there was often the need to call the Carabinieri (Italian officers). In the uproar that broke out from this, we children enjoyed ourselves lots! 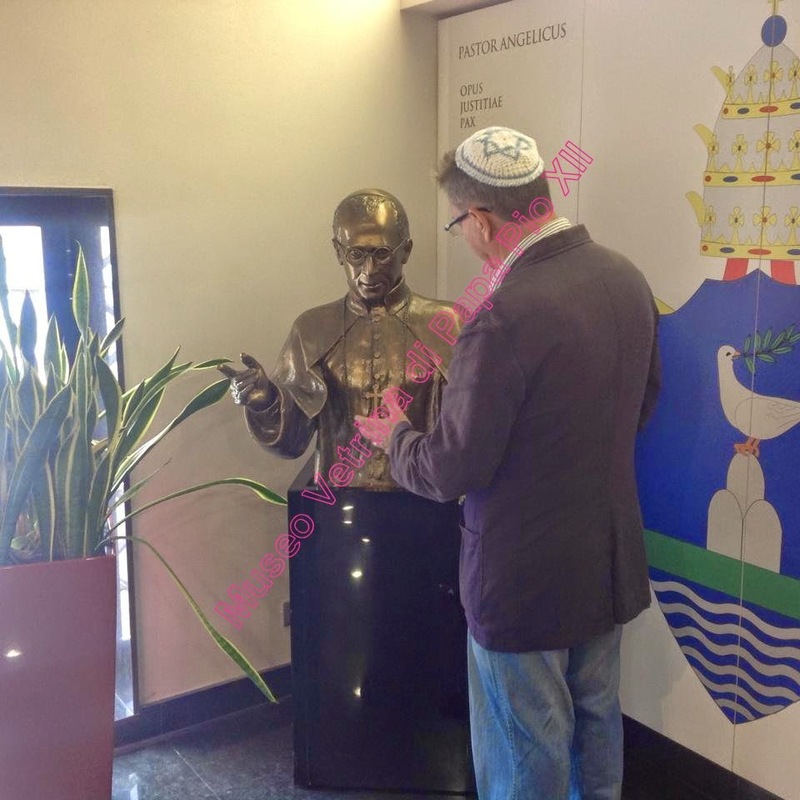 At the end of the summer, before school started again, Roberto also took my sister and I to Rome with his children and we remained in his house for two or three weeks on the Viale Bruno Buozzi. I still remember the day Roberto took us to Go-Kart and he took it upon himself to time the challenges we did. There was me and the two sons of De Sica, Manuel and Christian. I also remember the day which Roberto brought us a lovely monkey called Ramù and there was 'Il Generale' which we called the large wolf dog who we had in the villa, named after one of his films 'Il Generale della Rovere'. It was a very ferocious dog tied to a chain and I was one of very few who it let get close to it. This helped me when I caused some grief and the other kids tried to hit me. I ran to him and took refuge on his bed and no one had the courage to come and get me there! I don't know how come but one day I found myself walking near Generale and he bit me, perhaps to play, but he caused a huge injury from which I still have the scar today. I also still have in my mind the picture of my father taking his practice rifle in anger and killing him. I also remember the times my mother told me of the day in which Ingrid Bergman and Roberto Rossellini, insisted in giving a part to my father in the film 'Siamo Donne', which was filmed at Santa Marinella in 1953. We are still in contact with the first wife of Rossellini who was also in the villa and lived happily with Ingrid. Then arrived the separation from Ingrid and we understood straightaway things were changing and nothing would be the same again. Roberto no longer belonged to someone and became alone. There were no more parties at the villa, hardly anyone came round. Ingrid's place was taken by Sonali, the beautiful Indian girl who had a son Jill from a previous marriage. Sonali, made as much initial sensation between the Santa Marinella inhabitants as Ingrid had done and with her, Roberto had a daughter called Raffaella. Roberto Rossellini was like a father to me, he always insisted I studied and after becoming a studio owner, wanted to take me to work with him. Studying didn't appeal to me, nevertheless Roberto opened the doors to the library in the villa to me. A room full of wonders. Many books weren't written in Italian, they were books he brought back from his journies. 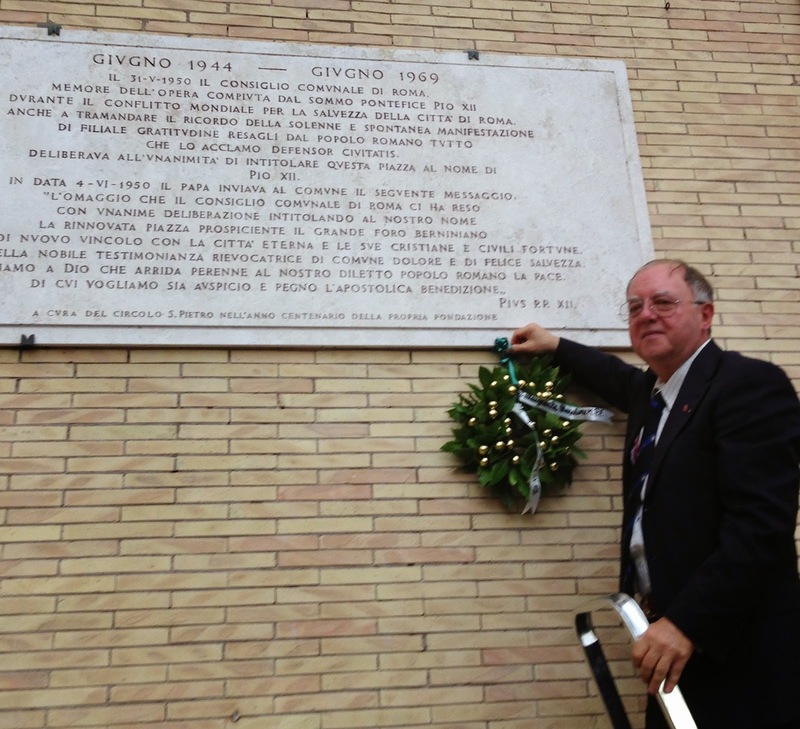 In this period I went to school at the Istituto Bonizi which was then a school run by priests. 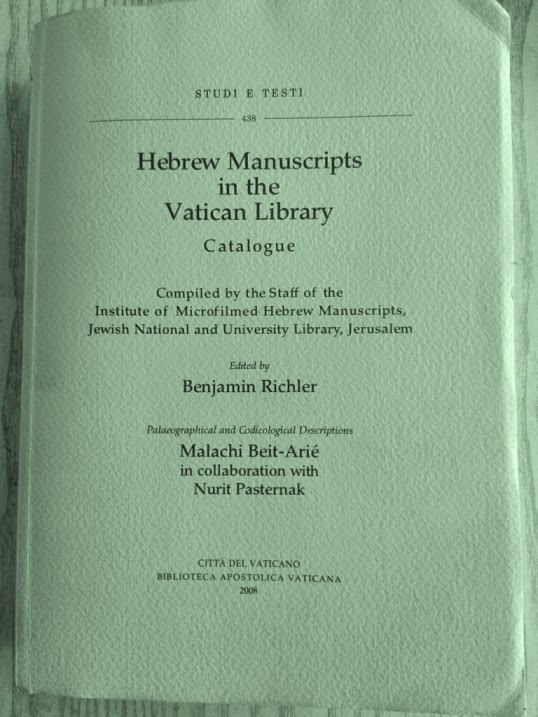 I remember one day when in Roberto's library I found a book with pages made of papyrus. I think he brought it from his trip to India because there were pictures of primitive people in 'natural' clothing. 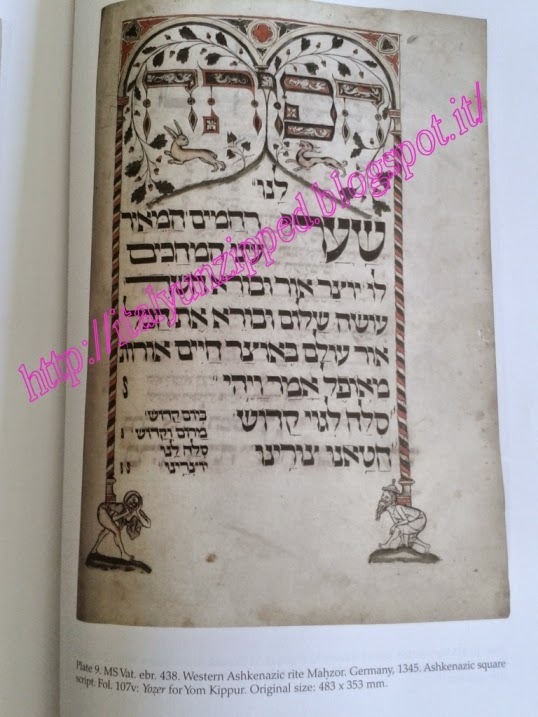 I was so fascinated by this book that in my infant ingenious I took it to school and I seem to still remember the face of Padre Leonardo when I showed him the book. 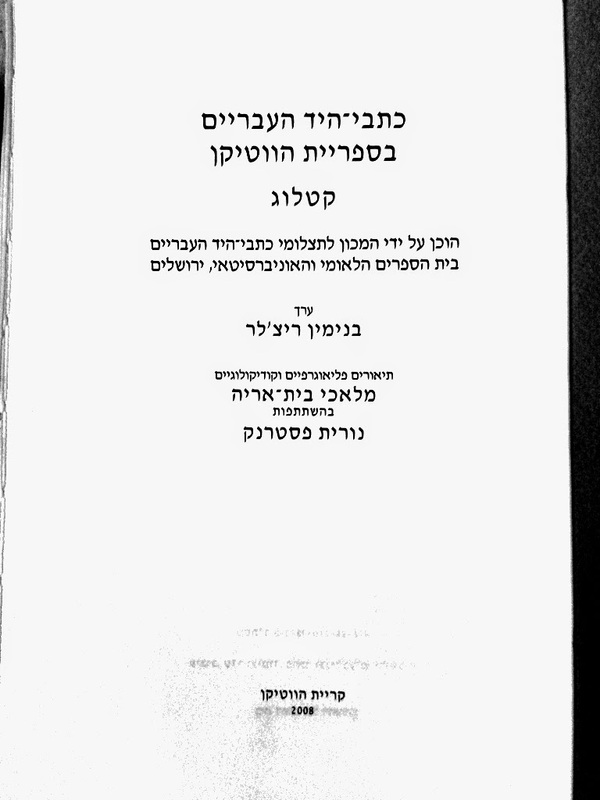 He confiscated it immediately and suspended me for three days and then went to the villa to tell my mother to whom he gave back the book telling her that certain things shouldn't be put into the hands of a by my age. I thought I'd landed myself in it big time but when Roberto found out he didn't take it badly. But this fact convinced my mother that the studio wasn't cut out for me and above all, that it would be better for me not to take the route to work in the Cinema. Palmira Rami, born in Senigallia 31 May 1935, moved with the family to St. Severa castle and then to Cisterna. Before the crash of the IIGM she returned to Santa Marinella and went to live in the house of Vitali under ground owned by Vittorio and Umberto Meloni. There was a small hill so the Meloni brothers cultivated Carnations. The land was taken by Commendator Sansoni of Rome and resold to Roberto Rossellini, his great friend. 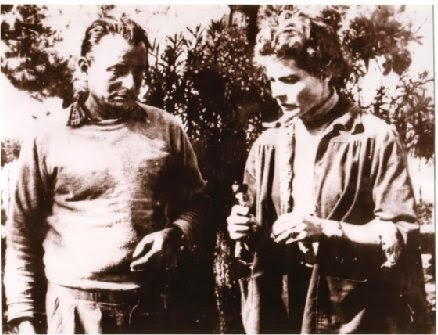 Signora Palmira says: It was the commendatoe Sansoni who introduced me and my husband Ugo Signoracci to Roberto Rossellini, who confirmed to us the gardening contract and had lodgings built for us right on the edge of the villa Aurelia, which we lived in until 1965. Renzino the son of the first marriage was particularly fond of me. Actually after my husband passed away it was he who told me I had to rest. I already knew Giovanni Tiburzi but I didn't think at all about relaxing. But Renzino, given that he was only fifteen didn't give anyone much peace. He talked with his father Roberto and in the end they convinced me to rest. One of the first memories I have of the Rossellini villa was soon after the villa was finished, when Roberto and Ingrid were all present we waited for the arrival of the first wife, Marcellina de Marchis. Nothing happened at all. Ingrid Bergman was a good woman, always kind and Marcellina came many other times to the villa without there ever being a argument. Marcellina found herself in good company with the Baroness, the maternal aunt of Roberto. Ingrid Bergman was a woman who never upset the air. I don't remember all the people who passed by but Rascel I remember well and also Totò, who bought Rossellini a dog. I remember the screams from Giovanna Ralli when on the beach in front of the villa she put her foot on a palm branch and one of the spikes went through a toe and we had to take her to the doctor. Rossellini was a regular client of Sebastiano Servili who lived here. If we didn’t go to do the shopping every week Sebastiano came here to make the butchers deliveries. He was a boy then and I'm sorry to say I have no more photos, but even him you can see in a scene of one of the films. I also remember the Rossellini children who ran behind him when he arrived home. Then ata certain point there was the break up of Ingrid and Roberto Rossellini. Roberto had gone to India and waited for the arrival of Ingird but she didn't go. She was making a film with Lars and Roberto returned form India with a new flame. The beautiful Sonali. I was very fond of Jill. A very nice Indian by which Sonali hahd had from her previous marriage. I remember my son Sergio didn't want ot play with Jill because he was scared of him and of the large efforts Giovanna Ralli to convince Sergio to play with Jill. Jill was a very good child and did everything to try and gain the friendship of my son. Jill was a very sensitive boy and suffered a lot when many people came to the villa. His skin colour being black meant he felt very observed and so he ran to me an Iva the cook and started to cry saying he wanted to be white. However the love between Ingrid Bergman and Roberto Rossellini remained even after the separation. In fact, every now and again they met up and were together. Then the economic problems began for Roberto. I remember well the evening Ingrid arrived at the villa accompanied by Lars. They had come with a car so big you couldn't even get it into the villa. Ingrid found a cheque remaining in one of the draws she opened which had been left there. That night it was chucking it down with rain but Ingrid accompanied by my husband walked all over the villa to convince Lars, a very rich man, to buy the villa, by this time distrained with creditors. When they finished circling they were soaked with rain and I still remember the huge fire by which they dried off. 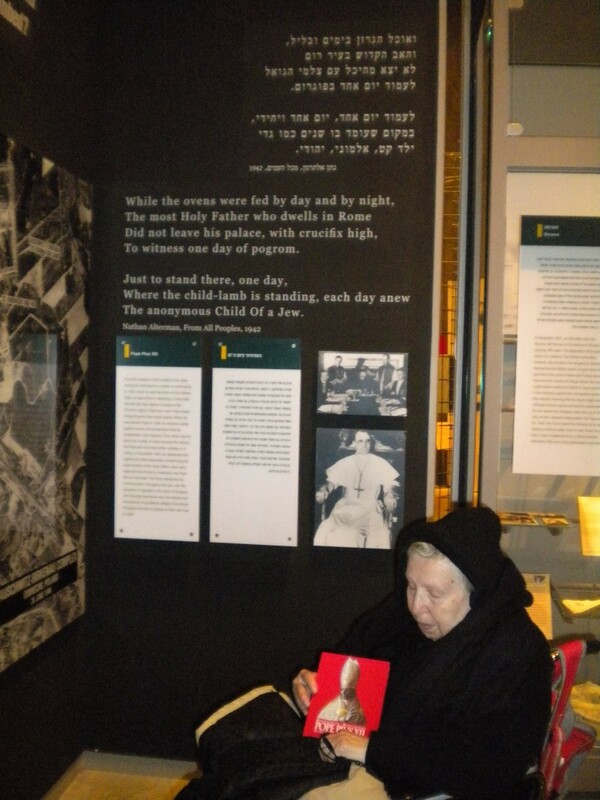 Palmira is 82 years old but now and again her memories come alive as if they happened yesterday. I remember, she says, that at the birth of my son Sergio, Ingrid Bergman was in Sardinia and left there to come and see me, telling me I should have given birth in hospital instead of at home. She gave me lots of presents at the time of the birth of my son. She was so considerate that she prohibited everyone from coming to disturb me and in those days. She was the only one near and I this I will never forget. 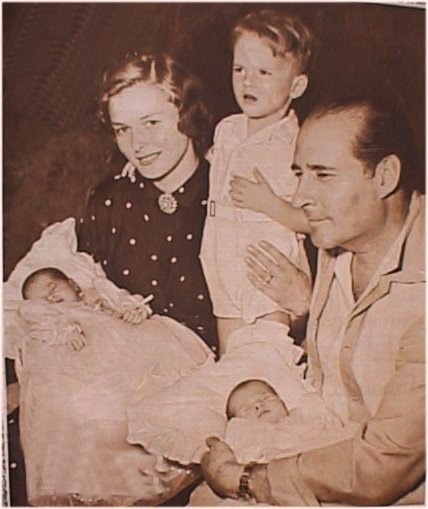 Ingrid Bergman liked my children as if they were her own, I remember when she and Roberto accompanied me to Rome when my son was hurt in a fall. 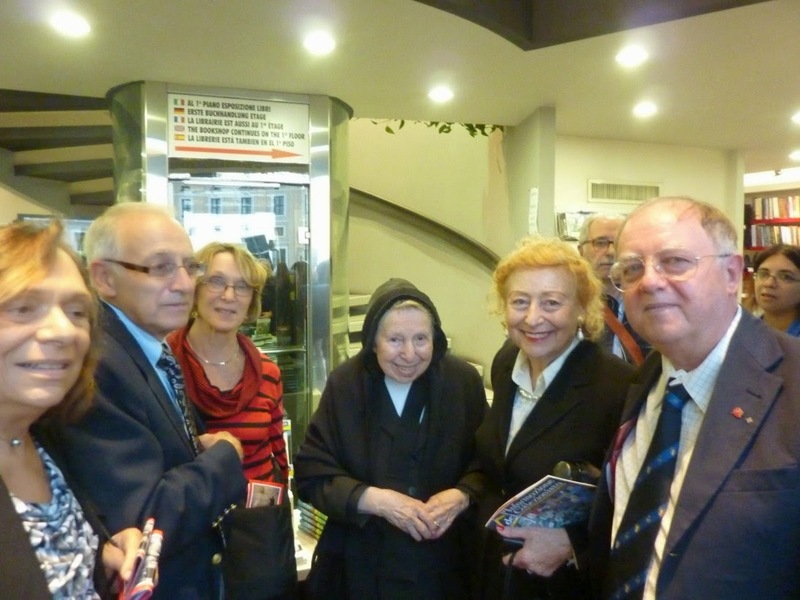 Roberto and Ingrid were close to my family and were present at the funeral of my husband Ugo. Even for this occasion, Roberto paid all the expenses. My first husband Ugo loved his profession as a gardener which took place with great love and precision without letting anyone get near to his plants, for which reason there was a confrontation with Ingrid straightaway. 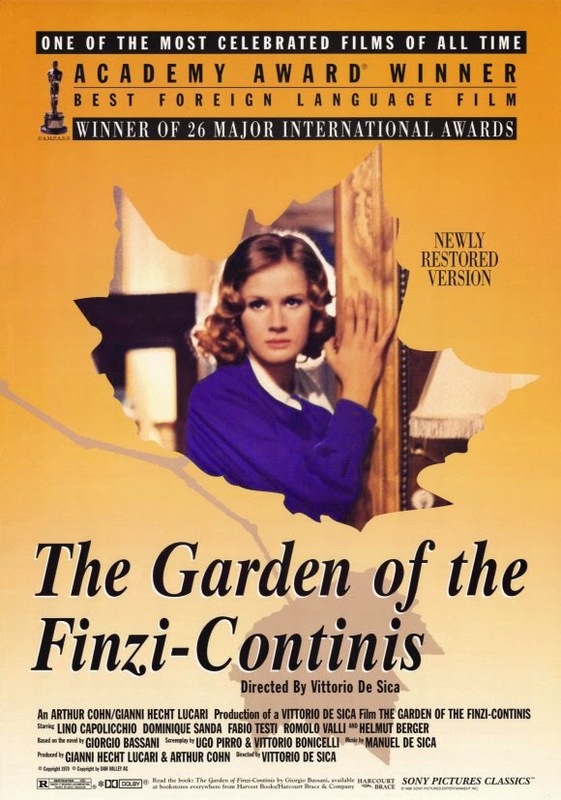 Every morning he went into the garden to cut the roses which he took to the Signora Ingrid. But one morning he realised that she had gone into the garden and cut some flowers herself. My husband went with all his rage and shouted to her : " Listen Signora, I'm sorry but you and I will never get along because you just don't cut flowers in this way!" I remember the hard work to prepare the scene, above all the night before the filming began. After going to cut the roses from the garden of Umberto and Vittorio Meloni, we had to plant them in the villa and water them all night so they stayed fresh until the next day. There were many different scenes from different movies filmed in these years at Santa Marinella. I remember Amadeo Nazzari when he came to see Rossellini and the film 'Il figlio di nessuno' (nobody's child). I remember the scenes filmed near the sea in front of the villa where Narazzi, once aboard the Rossellinis' motorboat, threw a huge doll into the sea. Renzino had a milder character than Robertino, he was five when my husband died. Renzino never liked Ugo because when he went to touch the flowers he always shouted at him. Once he died Ingrid and Roberto told me to shout at him not to touch the flowers. Therefore, so taken with anger he shouted: "Ugo's dead, why can't Palmira die too?!" "Isabella and Isotta, the two twins, I brought up", Palmira says. They were twins but had completely different personalities. Isabella much more independent and detactched, Isotta on the other hand suffered a lot from missing her mother. I remember the first time Ingrid left her with me because she had to leave, she cried for a long time and no one could calm her down. When I knew Ingrid was coming back to Santa Marinella I immediately warned the twins but instead of being happy they became sad. I didn't understand why until they told me " Well soon after, mamma will have to leave again". The second time Ingrid had to leave me with the twins, Isotta was ready to cry again so I took her to the beach where we found a sparrow in the wet ground, half sticking out. Isotta was so taken with the bird that she didn't even realise her mum was leaving. I also remember well when Alberto Sordi came to Santa Marinella who started joking and winding me up in the samr way he didin his films. I remember when Jenny came, Ingrids' first daughter from America and we found aourselves accosted by photographers from all angles and on the beach she put a large umbrella over her head to let her pass. Totò was the only one to give me a tip. He came to visit Roberto with his lover who had given Rossellini a dog as a present. The woman had a beautiful skirt and the dog recogonising her, went right up to her dirtying all her skirt. An 'neorealistic' example of a metalinguistic consciousness. A film in several episodes. Siamo Donne (We, the women) was released in 1953, produced by Titanus and Alfredo Guarini. A daily paper reviewed the Bergman episode: The episode dedicated to Ingrid Bergman, directed by Roberto Rossellini, consists of a short light-hearted story, made in the same manner as the other episodes (even though the style differs slightly) It's in a series of brief interventions, in which the actress addresses the audience directly. The direct look in the eye in the car to introduce the short story, to conclude it and to highlight certain phrases. The autobiographical content in the episode is high. Coming to Italy, Bergman made a life choice. She had abbandoned the contract with Hollywood of which at the time she was a first rate star and had opted to recuperate in a dimension more earthly, human. Life with Rossellini signified children and profound emotions and on the professional level, participation in a totally different cinematic concept, to that of the studio system. Few months before the shooting of the film, she had given life to the twins Isabella and Isotta. There had also been the summer with moments of worry over the custody of her daughter Pia (Jenny), from her marriage to Petter Lindstrom. The proposal of Zavattini probably left her in a moment of inner turmoil, linked to her ability to be a good mother. 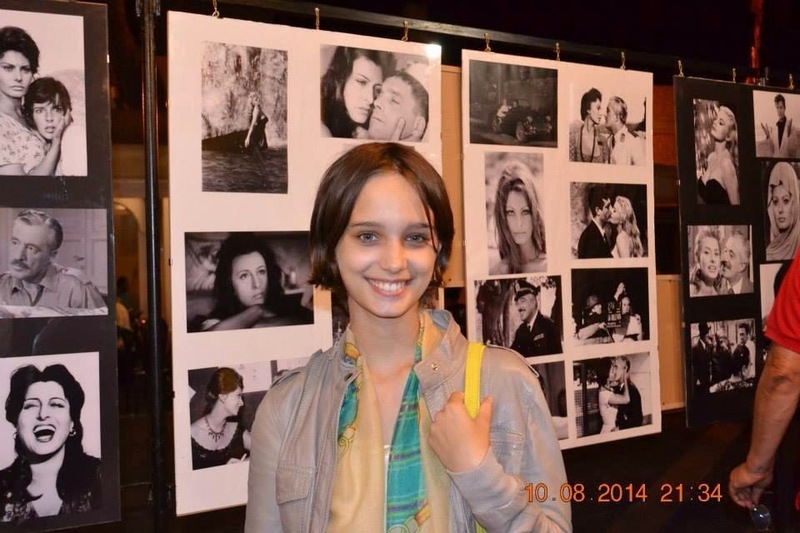 (In the film - Siamo Donne - Robertino also appears, her first son with Rossellini, little more than two years old). The short story of the chicken, represented among other things, an implicit response, the best you could imagine, to the scandals which a few years earlier stirred up her abandonment of the United States and her union with Rossellini. Which arose again during the custody battle for Pia. In any case the main interest this episode presents for us is her style which at first just seems like acting of familiar memories but which actually demonstrates an extraordinary strength just by the relative lack of subject. Very different from the Valli and Miranda episodes both filmed mainly inside, the Bergman episode is almost all outside and from this intentional luminosity, the impact is maintained until the final episode inside the villa. 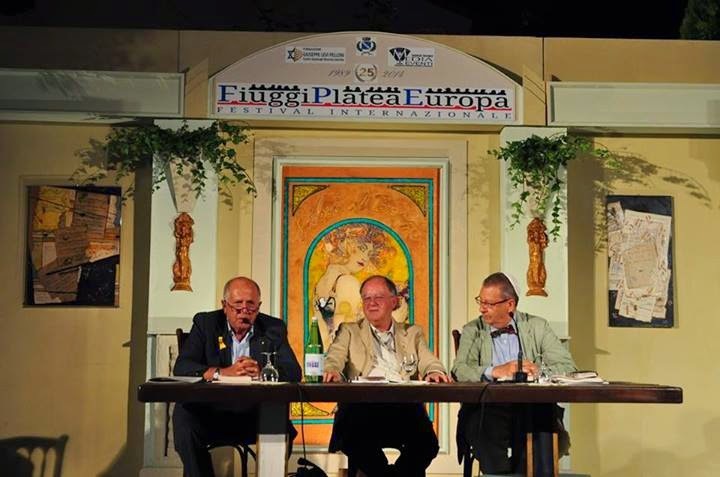 FESTIVAL INTERNAZIONALE “Fiuggi Platea Europa”. 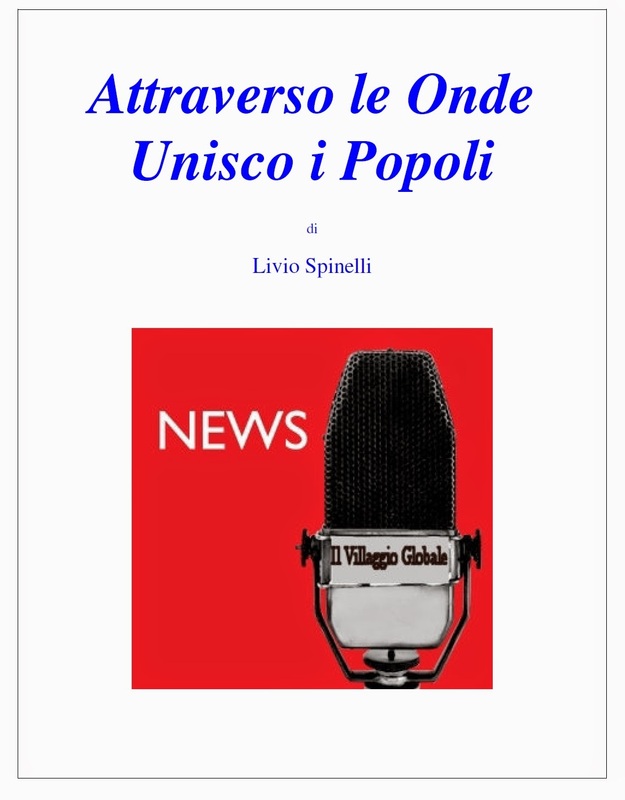 Sabato 6 settembre, ore 21.30 nel Giardino Excelsior del BardDue P. via Besso 9, il Prof. Livio Spinelli dopo la recente presentazione del suo ultimo libro “IL SIONISMO IN ITALIA E NELLA POLITICA ESTERA FASCISTA”, torna di nuovo a Fiuggi su invito del prof. Pino Pelloni Direttore della BIBLIOTECA DELLA SHOAH, con una serata dedicata a GIORGIO BASSANI e al suo capolavoro il GIARDINO DEI FINZI-CONTINI nell’ambito del FESTIVAL INTERNAZIONALE “Fiuggi Platea Europa”. Un itinerario della memoria in cui il prof. Spinelli, ricostruisce la genesi del romanzo, che il grande regista Vittorio DE SICA trasformò in un film di successo internazionale - presentato in anteprima mondiale a Gerusalemme - illustrerà le ragioni dello scontro tra DE SICA e BASSANI, tanto che lo scrittore fece ritirare il proprio nome dal FILM. 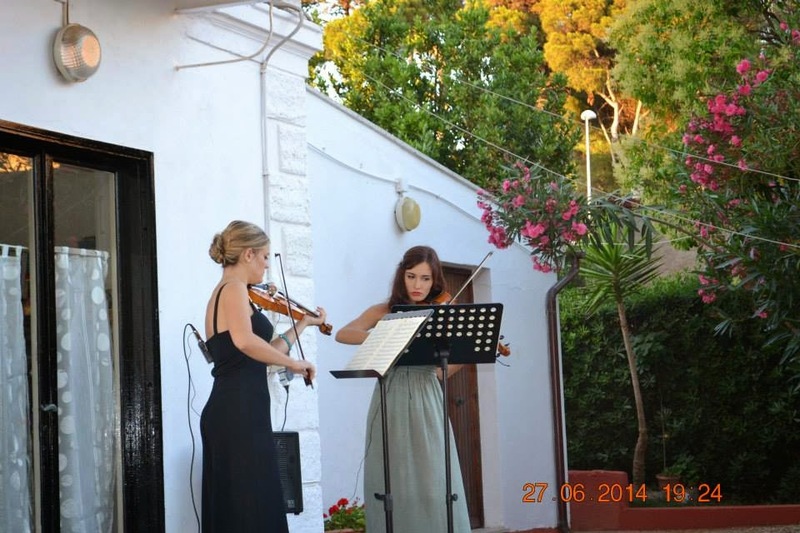 Due giovanissime violiniste: Alessandra Polce e Camilla Crisostomi accompagneranno la serata con brani musicali della colonna sonora del film, mentre le immagini del Castello di Santa Severa e della Necropoli di Cerveteri – che ispirarono Giorgio Bassani - faranno da sfondo. Professore di ruolo (MIUR), scrittore, pubblicista, conferenziere. 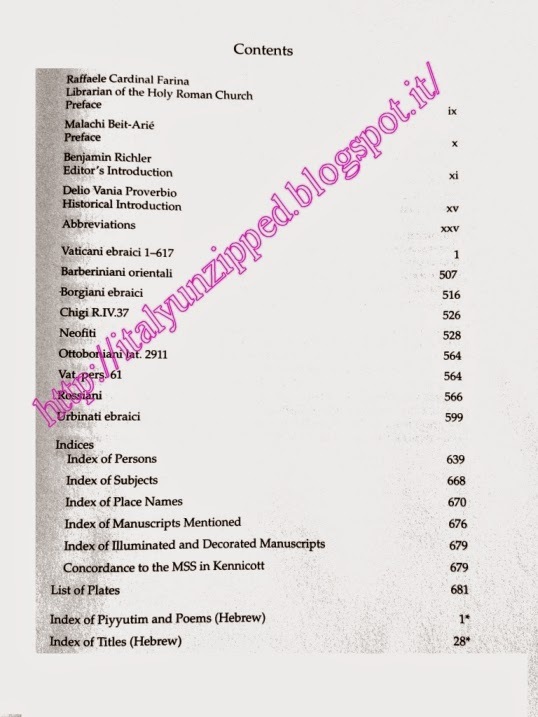 Laureato in Lingua e Letteratura Tedesca all’Università La Sapienza di Roma. 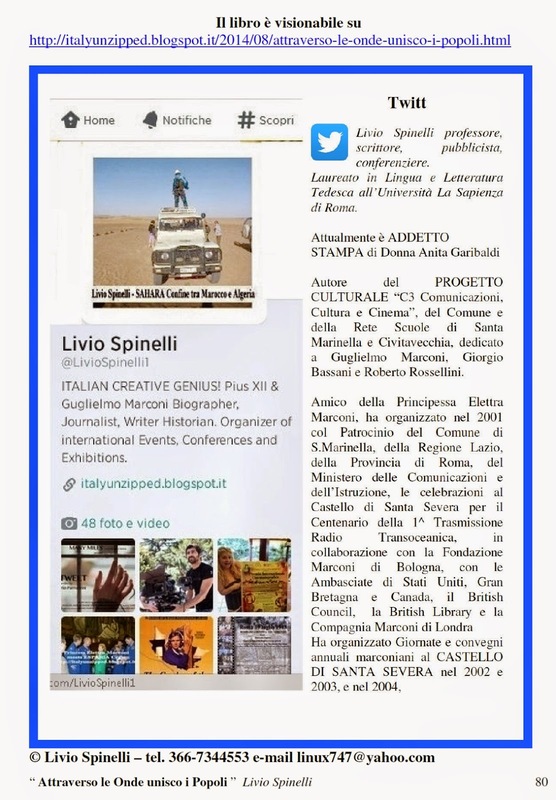 E’ stato autore del PROGETTO CULTURALE “C3 Comunicazioni, Cultura e Cinema”, del Comune e della Rete Scuole di Santa Marinella e Civitavecchia, dedicato a Guglielmo Marconi, Giorgio Bassani e Roberto Rossellini. Amico della Principessa Elettra Marconi, ha organizzato nel 2001 col Patrocinio del Comune di S.Marinella, della Regione Lazio, della Provincia di Roma, del Ministero delle Comunicazioni e dell’Istruzione, le celebrazioni al Castello di S.Severa per il Centenario della 1^ Trasmissione Radio Transoceanica, in collaborazione con la Fondazione Marconi di Bologna, con le Ambasciate di Stati Uniti, Gran Bretagna e Canada, il British Council, e la British Library di Londra. 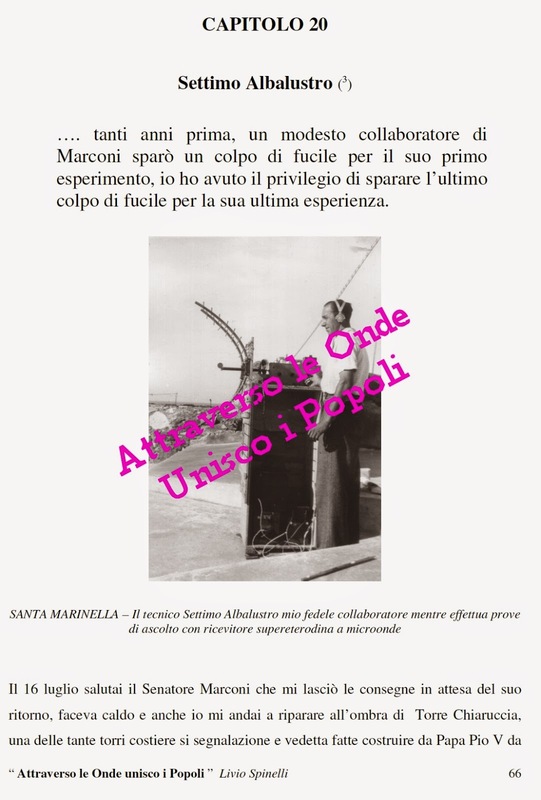 Ha promosso il “Premio Letterario Giorgio Bassani Città di Santa Marinella” in collaborazione con la Fondazione Bassani, incluso nella “Giornata Mondiale dell’Unesco del Libro e del diritto di Autore”, col patrocinio del Ministero dei Beni Culturali. Ha svolto ricerche negli archivi della Compagnia Marconi di Londra e del giornale THE TIMES sulla storia della radio, la TV, le comunicazioni, e ha pubblicato il volume degli RICERCHE DI MARCONI sul RADAR, la nascita di Radio Vaticana e la radiotelefonia mobile, realizzata da Marconi per la prima volta al mondo tra la Città del Vaticano e Castelgandolfo. Ha organizzato con la RAI le celebrazioni per gli 80 anni della RADIO al Castello Odescalchi. 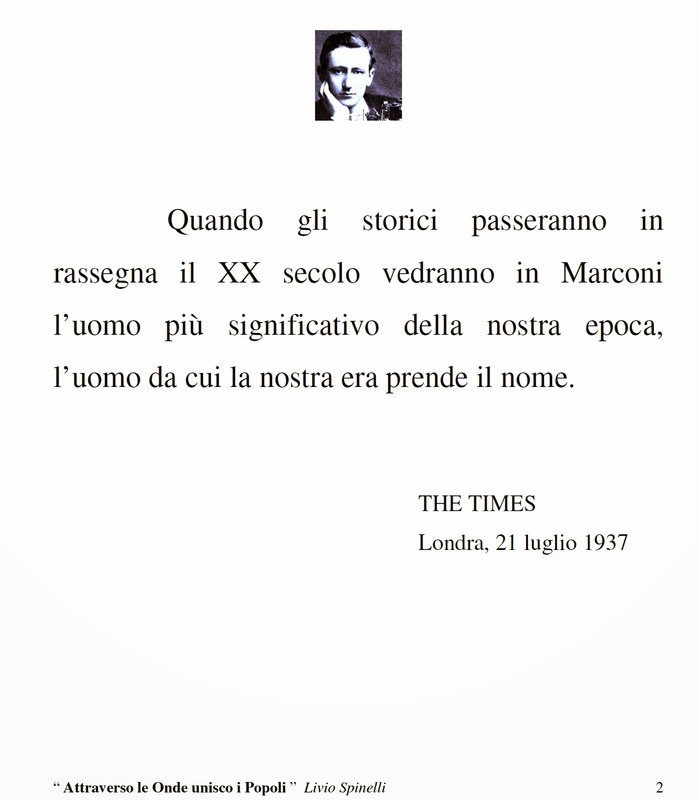 Ha realizzato trasmissioni con la Radio Vaticana e servizi per il quotidiano THE TIMES di Londra. A ottobre 2007 in collaborazione con la NASA, l’Associazione Radioamatori e il Centro Radioelettrico Sperimentale G.Marconi ha organizzato il collegamento radio degli studenti della Scuola Carducci di S.Marinella con l’astronauta statunitense Clay Anderson a bordo della ISS - STAZIONE SPAZIALE INTERNAZIONALE. 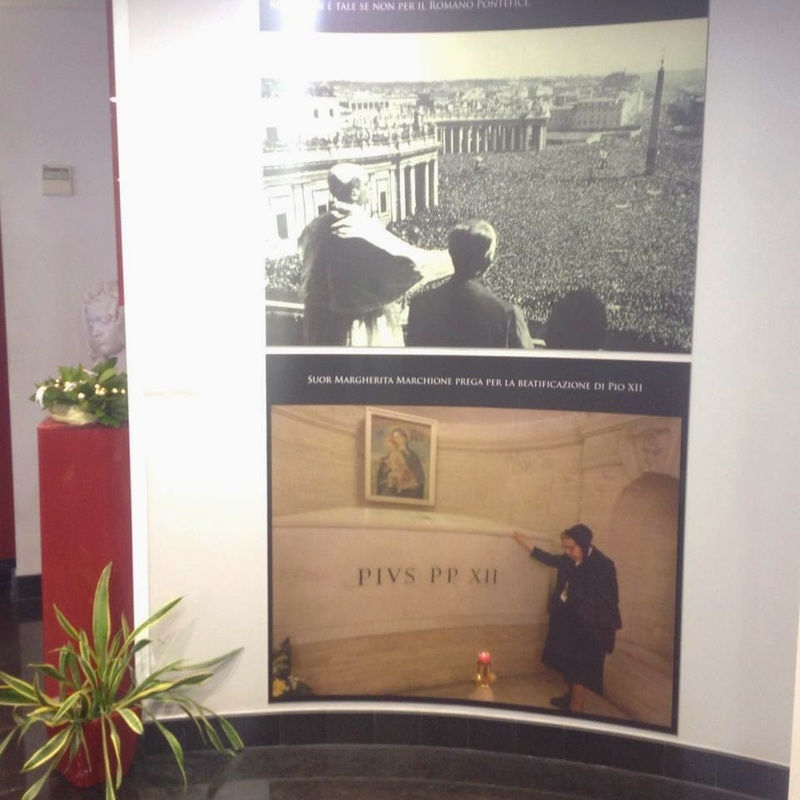 Dal 2008 al 2012 ha organizzato cinque convegni su “Papa Pio XII Roma e Gerusalemme” in Campidoglio, alla Camera dei Deputati e Palazzo Ferrajoli. 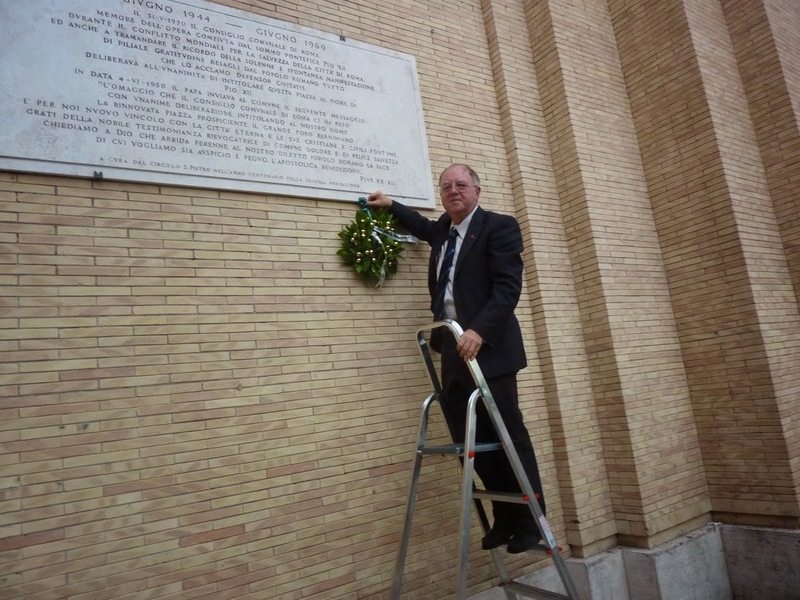 Marzo 2012 ha organizzato con l’AUTORITA’ PORTUALE dello scalo crocieristico di Civitavecchia, il CENTENARIO DEL TITANIC col patrocinio del Comune di Civitavecchia, Provincia di Roma, REGIONE LAZIO, Oxford University Press e la Principessa Elettra Marconi. Ha realizzato un film-documentario su “ PIO XII e il BOMBARDAMENTO DI SAN LORENZO”, col patrocinio di Roma Capitale, Municipio II, e dell’ANPI Provinciale di Roma, presentato in anteprima il 19 luglio 2013 nella ricorrenza del 70^ Anniversario e in versione definitiva il 19 luglio 2014 a San Lorenzo – Villa Mercede col patrocinio del Municipio II. È stato membro dell’Ufficio delle Comunicazioni Sociali della Diocesi di Porto-S.Rufina e fondatore della rivista Cronache Portuensi. È stato più volte intervistato da Radio Vaticana. · Pio XII – Tra Cronaca e agiografia di Margherita Marchione (traduzione). 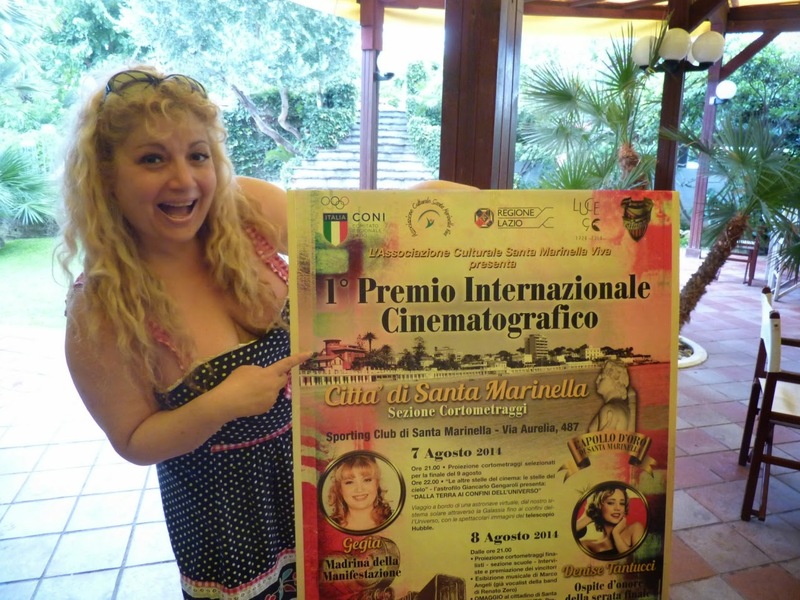 L’Apollo d’Oro di Santa Marinella è andato al cortometraggio “I TWEET” di Mario Parruccini, mentre il 1^ premio per la sezione scuole se lo è aggiudicato la prof.ssa Francesca Chinappi della scuola media Carducci con “AMICI A 4 RUOTE”, presente anche Alessandro Poleggi uno degli studenti protagonisti. 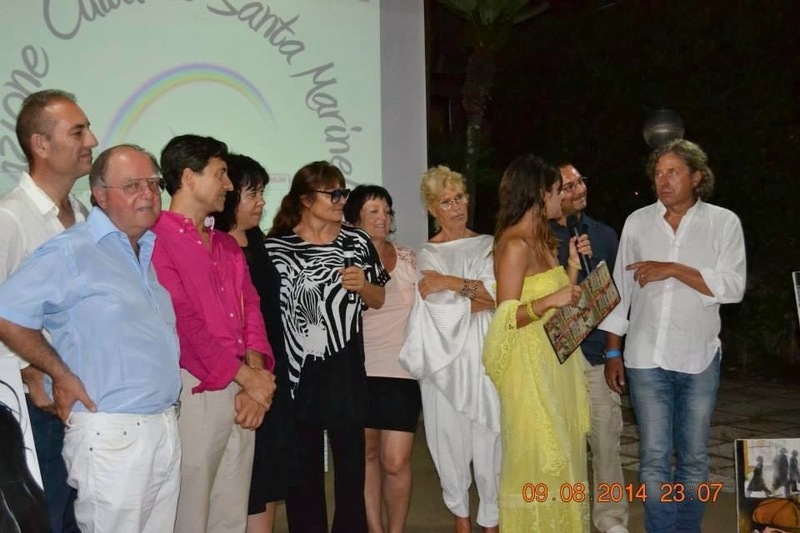 Il Sindaco Roberto Bacheca, il V.Sindaco Carlo Pisacane e il Delegato al Turismo Alessio Marcozzi durante la serata finale hanno espresso grande apprezzamento per il grande lavoro organizzativo dell’Associazione Santa Marinella Viva, che ha portato in concorso a Santa Marinella 47 corti provenienti anche da Stati Uniti, Iran, Germania e Olanda. Una tre giorni di cinema allo Sporting Club con una Madrina di eccezione GEGIA e due ospiti d’onore: Denise Tantucci, protagonista de IL MEDICO IN FAMIGLIA e Giovanna Vignola, protagonista del film Premio Oscar di Paolo Sorrentino " La GRANDE BELLEZZA". Ha fatto da cornice all’evento una mostra fotografica dedicata agli anni della Dolce Vita. La proiezione dei corti si è alternata con interviste agli ospiti, musica dal vivo col cantante Marco Angeli e la proiezione “Pane, Amore e Gelosia” (1954) di Luigi Comencini, prodotto dalla TITANUS in memoria dell’Attore Virgilio Riento che risedette a lungo a Santa Marinella e con un grande spettacolo di GEGIA che si è esibita con MAMMA DANCE un suo video che impazza su YouTube. Durante le serate sono state esposte opere della pittrice Ombretta Del Monte. Grande soddisfazione per la Presidente dell’Associazione Sonia Signoracci che afferma: ringrazio il Team che ha contribuito ad organizzare questo evento: Gualtiero Signoracci, il prof. Livio Spinelli, Roberto Sinopoli, Mirella Ferazzani, Concetta Scancella, Daniele Padelletti, Stefania Petrolati, Paola Astori. Ringrazio l'amministrazione comunale per averci sostenuto in questa iniziativa, anche a livello morale, facendoci sentire costantemente il supporto e permettendoci di lavorare serenamente. 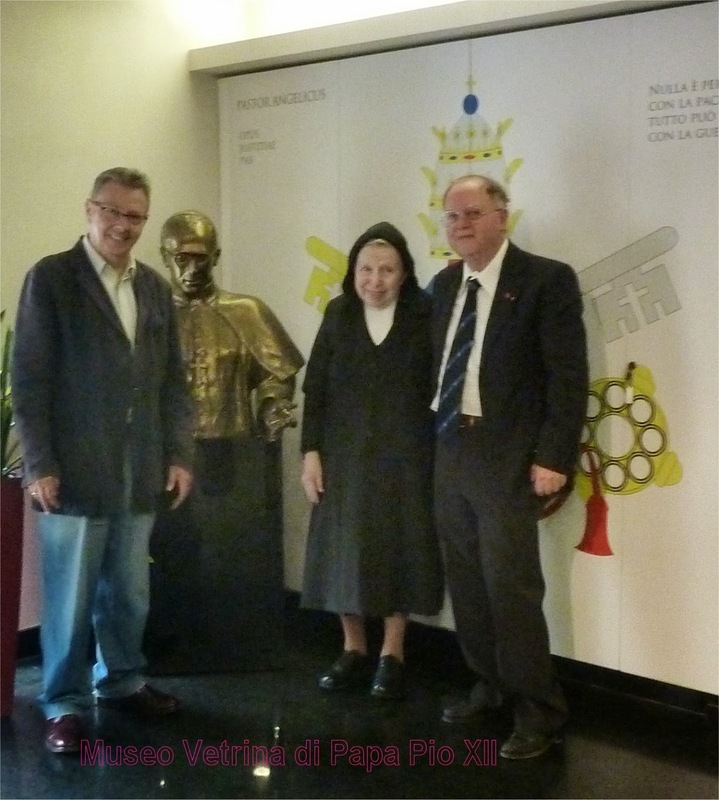 Ringrazio la Giuria, composta da Rosario Tronnolone Giornalista di Radio Vaticana, Donatella Baglivo regista, Ombretta Del Monte pittrice, Giampiero Baldi giornalista ed Emidio Gorgoretti fotografo. Ringrazio Grieffes Abbigliamento per aver vestito Emanuela Cianflone la nostra conduttrice, il CONI Regionale del Lazio, la Regione Lazio, la TITANUS, L’Istituto LUCE, l'Associazione Acondroplasia. Ringrazio l’Istituto di Credito Cooperativo Santa Marinella, il Forno di Tommi, il Gruppo CDE e l'Hotel Le Palme. Ringrazio lo Sporting Club per aver ospitato l'evento. 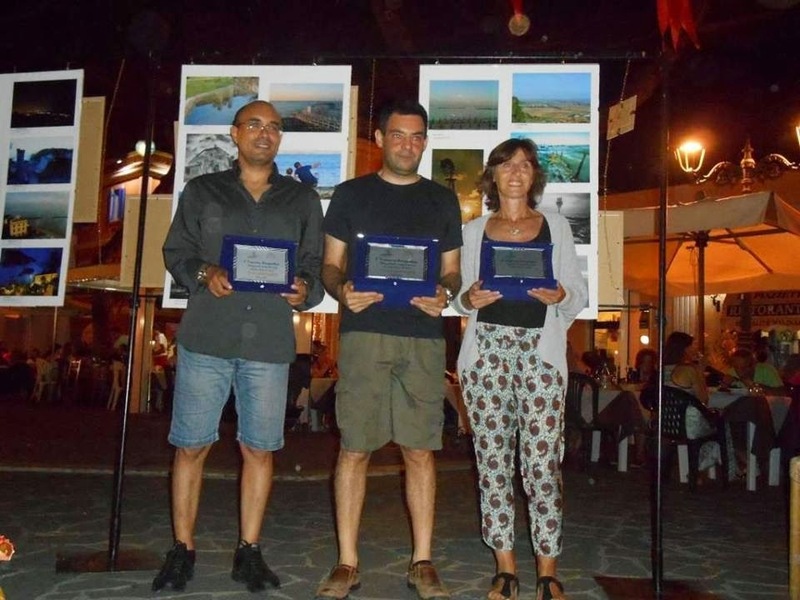 A conclusione degli eventi domenica 10 è stata organizzata una mostra fotografica con oltre 500 foto, stampate da 100ASA, a Piazza Trieste e dove c’è stata la premiazione “ FOTOGRAFANDO SANTA MARINELLA un altro punto di Vista “ in collaborazione con L’Associazione Agorafilia. Il primo posto è andato a Lorenzo Santucci con “Regolamento condominiale”. Per la padronanza del mezzo cinematografico, la cura del dettaglio, la sensibilità nel trattare il tema della comunicazione tra esseri umani e tra generazioni diverse, con uno sguardo tenero e complice sulle debolezze umane e sulla necessità di chiedere e accettare aiuto, anche da chi meno ci aspettiamo possa fornircelo. Premio speciale della Giuria a “Alle corde” di Andrea Simonetti, regista ed attore. Il suo lavoro realizzato in collaborazione con la Federazione Italiana Pugilistica. 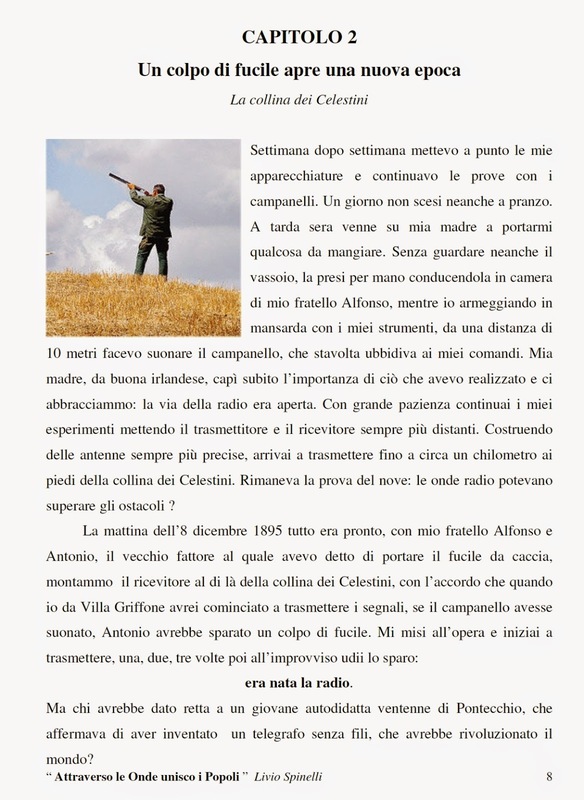 Per la poesia delle immagini e la reticenza della sceneggiatura, scritta per sottrazioni, tesa a lasciare agli sguardi e ai movimenti di macchina il compito di raccontare il difficile rapporto padre-figlio, la disperazione della malattia e la desolazione di un lavoro alienante, ma anche la testarda persistenza di un sogno da raggiungere. Per la delicata descrizione del rapporto tra l’infanzia e la vecchiaia, due fasi della vita apparentemente opposte e invece profondamente accomunate dal senso di fragilità nei confronti dell’esistenza: dall’umanissimo incontro tra un nonno e un nipotino scaturisce un luminoso senso di speranza. Per la costruzione di un personaggio sfaccettato e complesso, in cui convivono la tenacia di un amore materno possessivo e castrante e lo smarrimento della solitudine. Per la costruzione di un personaggio introverso e sofferto che ha conservato, dietro la maschera segnata dall’età, la freschezza e la capacità di stupore proprie dell’infanzia. Per aver diretto un film graffiante e ironico, che non smette di far riflettere, di divertire e di sorprendere fino all’ultimo fotogramma. Per l’uso sapiente del mezzo fotografico atto ad esprimere l’ambiguità del racconto, il disagio dei personaggi e la differenza tra apparenza e realtà. Per l’originale punto di vista narrativo, per la denuncia del maltrattamento sugli animali e, più sottilmente, per la metafora tutta umana della dignità calpestata. “Fotografando Santa Marinella un altro Punto di Vista” 1^ Edizione. 1 Regolamento condominiale (Lorenzo Santucci) immagine di grande suggestione il profilo notturno, l'esposizione prolungata, e la scelta del B/N conferiscono una particolare raffinatezza alla composizione. 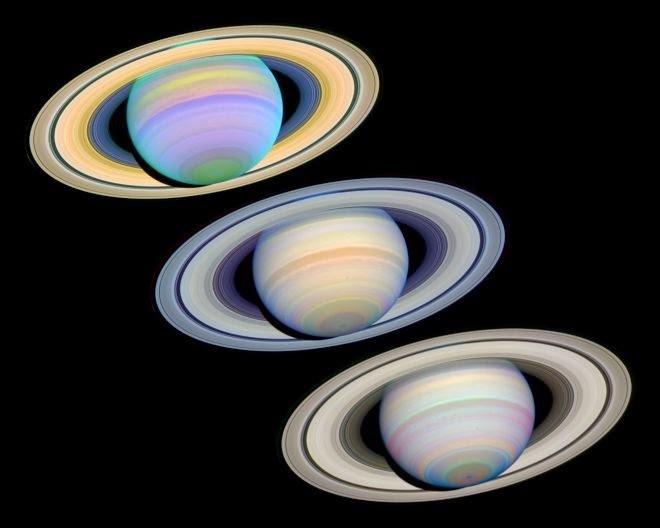 L'occhio dell'osservatore è guidato sapientemente lungo la balaustra verso il cartello , fulcro dell'inquadratura ed elemento di equilibrio dell'immagine. luminoso donano all'opera equilibrio ed eleganza grafica. 3 Non oggi ( Anna Federico) Il contesto ambientale scelto dall'autrice esprime efficacemente il senso di attesa, sottolineato dagli ombrelloni chiusi le imbarcazioni a terra ed un cielo minaccioso. 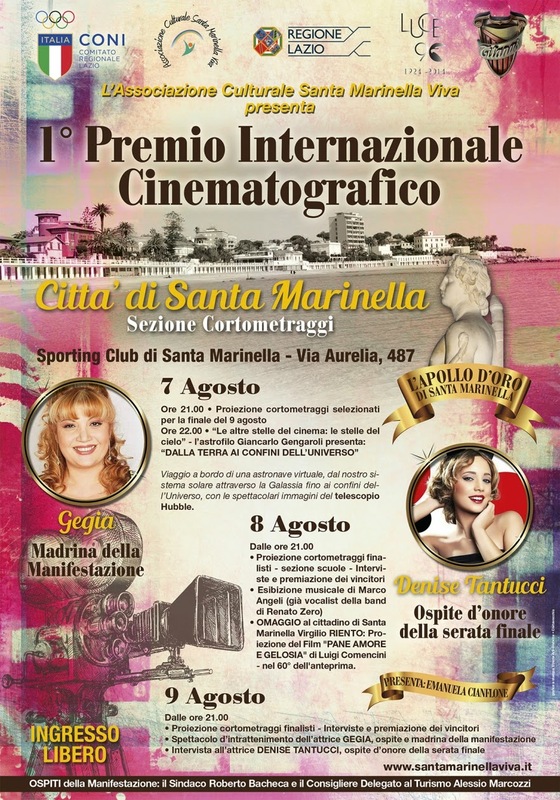 L’Associazione Santa Marinella Viva, dopo il grande successo della scorsa estate col ritorno dei Rossellini, ha organizzato per il 7, 8 e 9 agosto il “ 1° Premio Cinematografico Internazionale – Apollo d’Oro di Santa Marinella “, dedicato ai corti e con una sezione riservata alle scuole, allo Sporting Club in via Aurelia 487, madrina della manifestazione GEGIA, ospite d’onore Denise Tantucci. Farà da cornice all’evento una mostra fotografica dedicata agli anni della Dolce Vita e ai tantissimi attori e registi che soggiornavano nella Perla del Tirreno. La Presidente dell’ Associazione Sonia Signoracci afferma: ringrazio il Team che ha contribuito ad organizzare questo evento Gualtiero Signoracci, il prof. Livio Spinelli, Roberto Sinopoli, Mirella Ferazzani, Concetta Scancella, Daniele Padelletti, Stefania Petrolati, il sig. Aldo Sbaffo che ci ospita allo Sporting Club e l'amministrazione comunale per averci sostenuto in questa iniziativa, anche a livello morale, facendoci sentire costantemente il supporto e permettendoci di lavorare serenamente. Abbiamo voluto arricchire le serate del Festival con numerose iniziative di spettacolo, interviste, e musica che si alterneranno alle proiezioni. Ci sono arrivati 47 corti anche da Stati Uniti, Iran, Germania, Olanda e da numerose scuole di ogni parte d’Italia, tutti di alto livello che hanno fatto faticare non poco la Giuria, composta da Rosario Tronnolone, Donatella Baglivo, Ombretta Del Monte, Giampiero Baldi, Emidio Gorgoretti. Questa tre giorni di cinema presentata da Emanuela Cianflone inizierà alle ore 21 del 7 agosto col benvenuto degli organizzatori ed il saluto delle autorità comunali. Il primo corto giunto in finale ad essere proiettato sarà "Pizzangrillo", di Marco Gianfreda (con Toni Bertorelli, Simone Pellegrini, Alessio Spagnoli, Daniele Faraoni). A seguire l’astrofilo Giancarlo Gengaroli intratterrà il pubblico con “Le altre stelle del cinema: le stelle del cielo”, viaggio a bordo di una astronave virtuale dal nostro sistema solare, attraverso la Galassia fino ai confini dell’universo, con spettacolari immagini del telescopio Hubble. 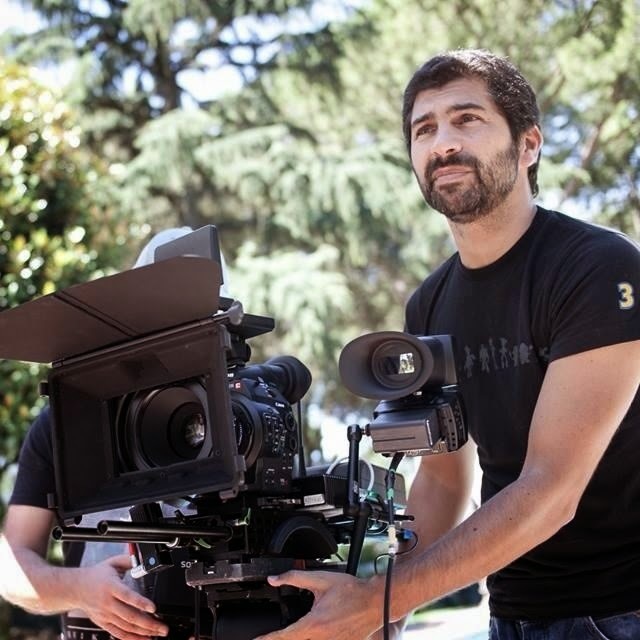 "More than two hours" dell’iraniano Alì Asgariù sarà l’altro corto finalista ad essere proiettato. La serata dell’8 inizierà con la proiezione del terzo corto finalista "I tweet" di Mario Parruccini”. Seguirà la proiezione del corto vincitore della Sezione Scuole, per il quale c’è molta ‘suspense’. Ci sarà una esibizione del cantante Marco Angeli, collaboratore assiduo di Luigi Fontana (figlio del grande Jimmy), ha avuto la fortuna di far parte dei vocalist RAI e di cantare con pietre miliari come Gianni Morandi, Claudio Baglioni, Renato Zero, Giorgia, Gloria Gaynor e i Toto. Chiuderà la serata un omaggio al nostro concittadino l’attore Virgilio Riento con la proiezione del film “Pane, Amore e Gelosia” (1954) di Luigi Comencini. Alla serata finale avremo un'ospite d'eccezione: Giovanna Vignola, protagonista del film Premio Oscar di Paolo Sorrentino " La GRANDE BELLEZZA", e la serata inizierà con una intervista a GEGIA, Denise Tantucci e Govanna Vignola, seguita dalla premiazione dei vincitori 1^, 2^ e 3^ classificato. Oltre alla proiezione del corto vincente saranno attribuiti dei riconoscimenti speciali ad altri corti in concorso. Chiuderà la serata lo Spettacolo d’intrattenimento di GEGIA, che si esibirà nel suo MAMMA DANCE, un video che impazza su YouTube. Tema Fantastico S.p.A.. Immagini dei temi di ULTRA_GENERIC. Powered by Blogger.